Summer is the season for denim shorts, breezy dresses, and interns! Meet our new summer intern, Zoe. ellelauri: Zoe, where are you from and where do you go to school? Zoe: I am originally from Philly. I am going to be a junior at Philadelphia University and I am a fashion merchandising major. ellelauri: Why did you want to intern with us? Zoe: Initially, the amazing window displays! I always love the clothes in the window so that’s what drew me in to inquire about an internship. 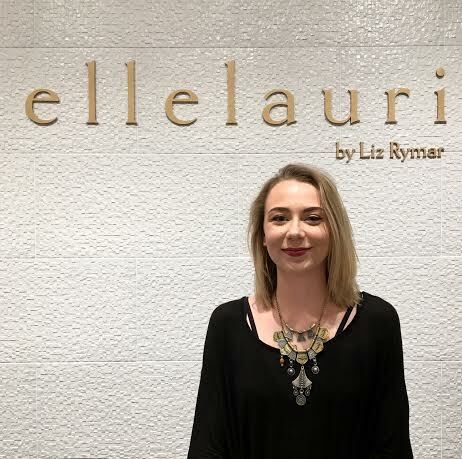 When I learned more about the brand and how Liz designs her own clothes and manages the boutiques, I knew I wanted to intern for ellelauri. It is my first retail industry experience and I am so excited to learn the ins and outs of the business. ellelauri: What are your favorite pieces in the store right now? Zoe: I love the breezy summer tops and dresses from Feel The Piece and Bella Dahl. I also really love all of the jewelry, especially the statement necklaces. ellelauri: How would you describe your personal style? Zoe: Classic. A lot of black and neutral colors. I’m tall so I like pairing something loose-fitting with something tighter so there is a balance. ellelauri: Who is your style icon? Zoe: This New York based blogger named Nicole Alyse. ellelauri: Who is your favorite high fashion designer? Zoe: It’s a tie between Etro and Prada. ellelauri: What is your favorite piece in your closet? Zoe: A black wool jacket I got at a thrift store. It’s classic but a little edgy. ellelauri: If you could add one thing to your closet, what would it be? Zoe: A pair of Gucci slip on loafers; the ones with the fur inside. ellelauri: What are you listening to right now? Zoe: I really like Drake’s new album. ellelauri: When you are not at ellelauri, what are you doing? Zoe: Either cooking or watching fashion shows on YouTube.